As debt collectors, a big part of our job is helping people avoid a bad credit rating by helping them to repay their debts and avoid damaging legal defaults or listing with one of the credit bureaus. A lot of our customers ask us how they can go about either saving their credit rating or fixing it. 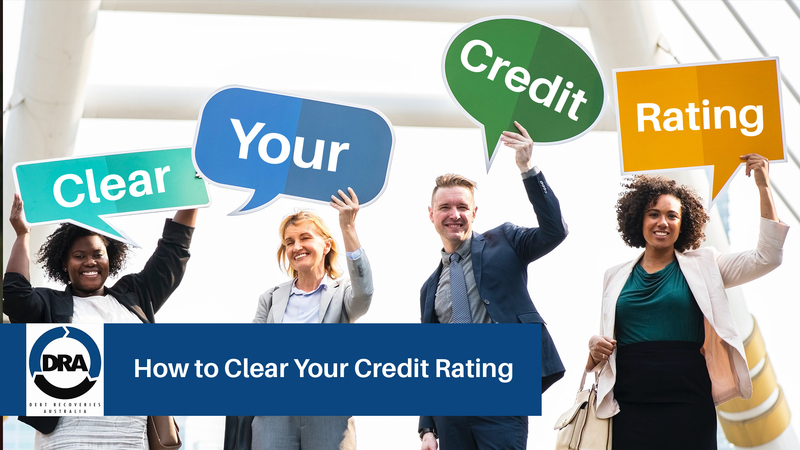 Fixing or repairing your credit rating is a very good move, since your credit rating can affect everything from what sort of loans you can get and what sort of job you can apply for. To learn more about how to get your credit score, click here. Mistakes on credit reports happen more often than we might think. These mistakes can happen due to clerical errors, or when creditors simply forget to update the credit reporting bureaus. You should always check to make sure each account is really yours and whether any negative items actually happened. Contact the credit bureaus – If there are mistakes, you should first contact each of the three credit reporting agencies to dispute the inaccurate item(s). The credit bureaus are obliged to investigate any inaccurate information and give you a satisfactory response. All three bureaus allow you to dispute an error online. Contact the creditor – You should also contact the creditor or lending institution, advise them of the dispute and provide them copies of all documentation, etc. Make sure you keep a record of all these communications so you can then go back to the credit bureaus with your results. Be prepared for a lot of work and effort, as sometimes errors made either by credit bureaus or creditors can take a long time to get repaired. So, if you are waiting on a loan application, forget it. This is a long term approach and should be seen as a long term strategy. In some cases, you have to keep following up and disputing the errors numerous times (the more supporting evidence you have, the better). Signing up for a free credit repair consultation will allow the experts to find out more about your situation and how they can help. You will need to fill out a few documents such as an application form, an authority to act, documents and background information on the negative credit listing. Once the documents are completed, your credit repair specialist will make contact with the credit provider and will need a copy of notices sent to the customer which resulted in the negative listing. When the documents are received from the credit provider, your credit repair specialist will investigate into the negative listing and identify the inconsistency made by the credit provider. As you clean up your credit reports, start taking steps to prevent similar problems in the future. Request your free annual credit reports, perhaps use your birthday or some other important date as a trigger or reminder. Use credit monitoring and automated bill payment service, otherwise proactively manage your credit reputation. Avoid having a 90-day late payment at all costs because that will drag your score significantly. Just Pay It! Although it may be damaging to your pride, sometimes it’s easier to just pay the fee. Your best bet for the biggest credit score boost is to first pay off in full any current debts showing as delinquent and then carefully consider what to do with older debts. Don’t forget to negotiate with your creditor so that they organise the removal of the negative information with the credit bureaus. You could even negotiate with your debt collector by offering some sort of payment or repayment plan, in return for them removing the listing of the debt with the credit bureau. Call up your creditor or debt collector and ask to speak to a manager to explain your situation and see what’s possible and then get the agreement in writing. ← Outsourcing Debt Collection Services – Hire a Debt Collector or a Lawyer?